We celebrated launching the podcast a few weeks back - listen to episode 1 here. It really was the best night for us. We were surrounded by the people we love, including our own moms. Few times in life do you get to have nights like this, and we did not take it for granted. Thank you for all your support and making the night just so much fun for us! We hosted the event at our favorite local coffee and juice shop, Revolucion. The highlight of the night was participating in a live podcast recording with Cassy from Fed and Fit. She lights up a room, and she shared her heart about being a mom. Special thanks to all of our sponsors: Sseko, Once Upon a Farm, Salt & Light Trading Co (SIMPLYWHOLEMOMS for free shipping), Root Pretty, Piggy Paint, Primally Pure, Fit Vine, Easy Teesy, Noonday, and Siete. 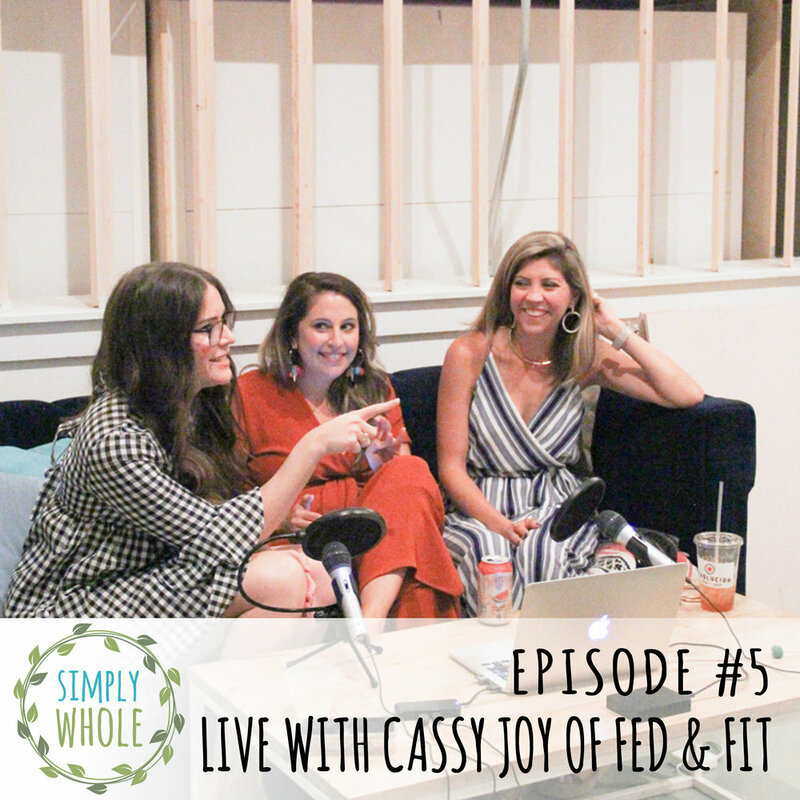 Join the Simply Whole Moms for a live podcast recording with Cassy Joy Garcia from the brand Fed and Fit. She answers questions live from a room full of moms. Listen in on this fun live event as we cover topics from nutrition, to working out with babies, to what supplements to take. Cassy had a genuine conversation with other moms about health and wellness in this busy chapter. Thank you Cassy for your time and the joy you shared!